When I begin to create a collage, I organize my thoughts and shuffle through my scraps and find a piece of paper or an object that moves me. A vision emerges from within and develops as I create my work. I collect and use materials that would otherwise be considered trash. Old bits of paper and found objects are recycled and turned into rich materials that become art. I visualize the beauty in discarded items. My work incorporates paint, pencil, and pastels, along with collage. The work is built and then revealed through the layers, sometimes searching for a texture, a color, something unknown, the other layer. The energy builds, as more layers are uncovered. My work is predominantly abstract but sometimes an image that is real emerges and peeks through. 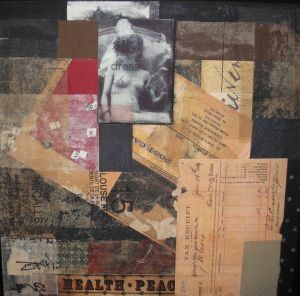 I create my collages using the same basic design principals and structure that collage artists have followed for most of the 20th century. Life cycle events, children and the world around have been inspirations for several of my pieces. Many of the great 20th century and Cubist artists such as Kurt Schwitters, Pablo Picasso, Robert Rauschenberg and Raymond Saunders have influenced my work. 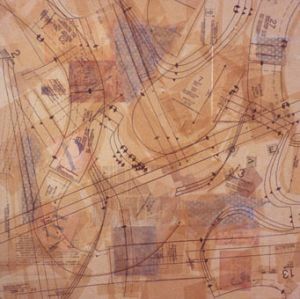 Marilyn Landau is a mixed-media collage artist who lives and works in Los Angeles. As early as 10 years old she picked up a paint brush and began her journey as an artist. She studied art at Los Angeles Valley College and then began an Interior Design program at UCLA extension finishing up at the Fashion Institute of Design & Merchandising. 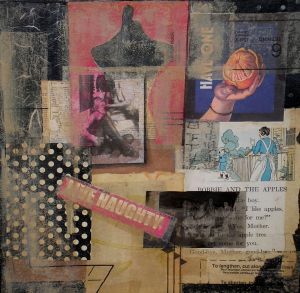 Always looking for a creative venture through her journey of life she discovered the medium of collage as a form of expression in the late 1990’s. 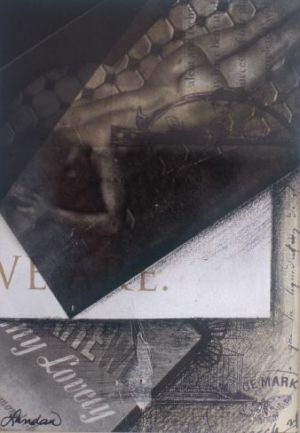 Landau has been exhibiting her work in various group and solo shows since 1999.